It’s the most wonderful time of the year! 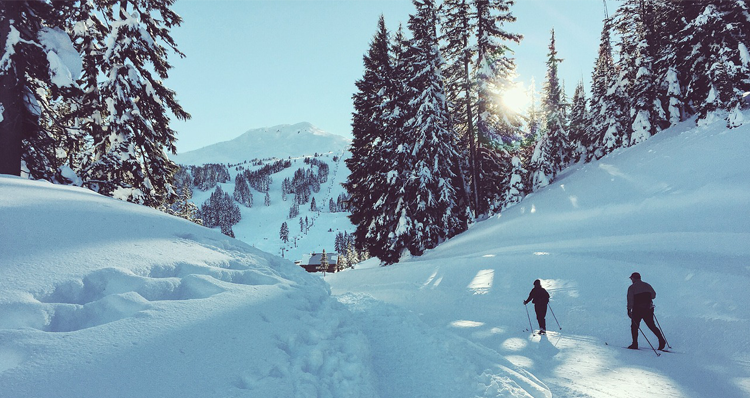 While the holiday season is magical no matter where you are, there’s something extra special about spending the holidays in the coziness of the Pacific Northwest. Maximize the season with our extensive guide to holiday events in the Portland area — including everything from exciting musicals to tree lighting ceremonies and holiday markets to inspiring light displays. Travel back in time to Christmas Eve of 1943, as the Feddington Players present Dickens’ A Christmas Carol live on-air. The company endures an endless stream of interruptions and technical mishaps, sprinkled with swing arrangements of Christmas classics and original songs in period style. This festive and hilarious show will sweeten your holiday season! 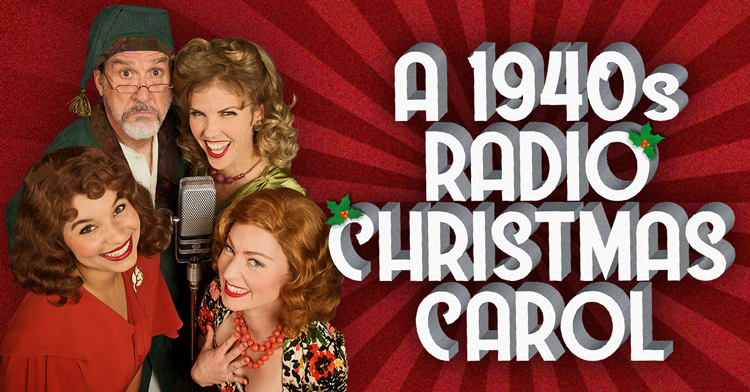 Tickets for A 1950s Radio Christmas Carol range from $20–30. 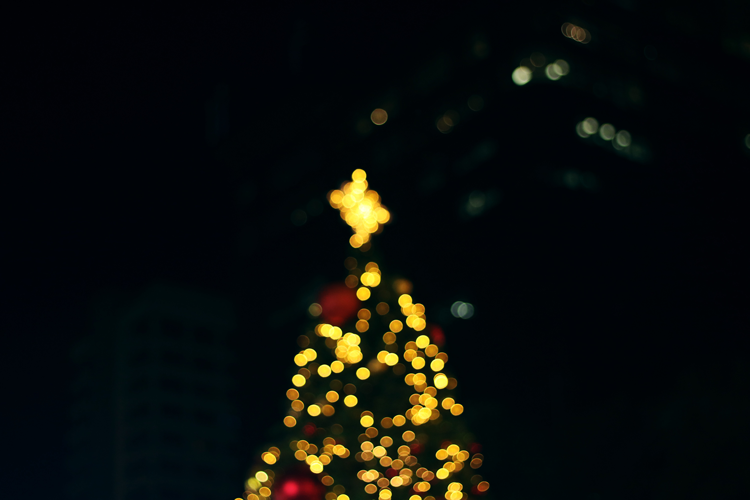 November 23 | 5:30 p.m.
For over 50 years, the community of Lake Oswego has come together to ring in the holiday season with a spectacular tree lighting ceremony. This evening of cheer includes caroling, performances from local high schools and the Millennium Concert Band, sweet treats, and more. Gather at the corner of 5th Street and A Avenue to count down the lighting of the Bigelow Plaza Holiday Tree, then head down to Millennium Plaza Park to see the lighting of the Millennium Tree. The festivities are completed by a visit from a special guest all the way from the North Pole, arriving by fire truck! This event is completely free and open to all. Ride in vintage rail cars behind Portland’s historic steam locomotives and get the opportunity to visit with Santa Claus on board the Holiday Express Train. This festive train ride is one of the city’s most beloved traditions. Proceeds benefit the Oregon Heritage Foundation whose mission is to provide for the preservation, operation, and public enjoyment of Portland’s historic locomotives, railroad equipment, artifacts and to educate the public about Oregon’s rich and diverse railroad history. Take a look at the train’s availability and book your tickets to embark on this magical journey! Broadway stars Alan Menken and Lynn Ahrens breathe new life into a classic tale with “Christmas Carol the Musical” at Brunish Theatre. Take a journey through the past, present and future with grumpy Ebenezer Scrooge, as he recognizes his faults and eventually shares the holiday with those who mean the most to him. Enjoy this spectacular performance each Thursday–Saturday at 7:30 p.m. and Saturdays and Sundays at 2 p.m. through December 23. Tickets cost $45 for adults and $26 for students, seniors and groups of eight or more. Experience the endearing marriage of “A Christmas Memory” with “Winter Song” at The Armory. “A Christmas Memory” is an autobiographical recollection of Truman Capote’s rural Alabama boyhood, recalling cherished memories of beloved holiday rituals. “Winter Song” is brilliant singer Merideth Kaye Clark’s original presentation of songs celebrating winter and all it represents, such as love, loss, family, solitude, renewal and friendship. Enjoy both experiences side-by-side throughout the holiday season! There are several performances lasting through the end of the year, including evening performances Tuesdays through Sundays and matinees on Saturdays, Sundays and Thursdays. 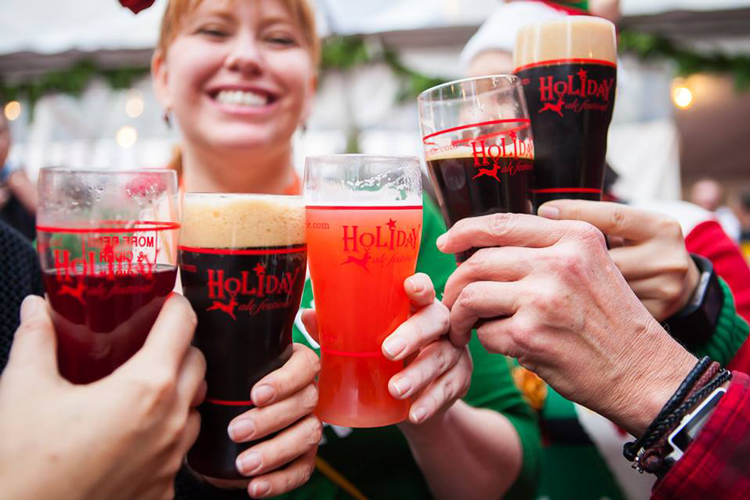 Each year, the Holiday Ale Festival unites beer lovers with dozens of winter warmers for a joyous five-day celebration in the heart of the city. This quintessential Portland event has earned a reputation as the premier winter beer tasting venue on the West Coast. Stay warm and dry under a large clear-top tent covering Pioneer Square with gas heaters all around. More than 50 potent winter ales are featured at this year’s event, all of which were created specifically for the holiday season. From Belgians to barleywines, and stouts to sours, these beers are rich, robust, and full of complexity. Purchase $40 general admission advance tickets, which includes a festival glass, 15 beer tickets, and expedited entry all five days. This annual tradition is both a holiday circus spectacular and tribute to The Beatles. The Nowhere Band, a 15-piece orchestra, will perform the Fab Four’s entire classic “White Album” while the Portland Circus Allstars perform amazing, high-flying feats. Purchase your tickets for $35 in advance, $45 at the door, or $55 for premium seating, before this popular show sells out! November 30–December 1 | 10 a.m.–6 p.m. The German Holiday Market returns to downtown Beaverton this holiday season! The market has grown from a small event on the campus of the German International School to a large, two-day community event in the heart of Beaverton. 2018 will mark the 18th year for the event, which features authentic German foods, treats, artisan gifts, and live music. Kick off the celebration with the city of Beaverton’s tree lighting ceremony, one of the most impressive city light displays in Tualatin Valley. On the weekends leading up to Christmas, the western frontier replica town of Dairyville transforms into a winter wonderland. Animals are on display on nostalgic Storybook Lane, where you will discover vintage storefronts, local choirs singing, holiday movies in the opera house, and of course, a visit from Santa. This year, Alpenrose Dairy is partnering with the East Portland Rotary Club for their annual Toy Drive benefiting local foster kids. 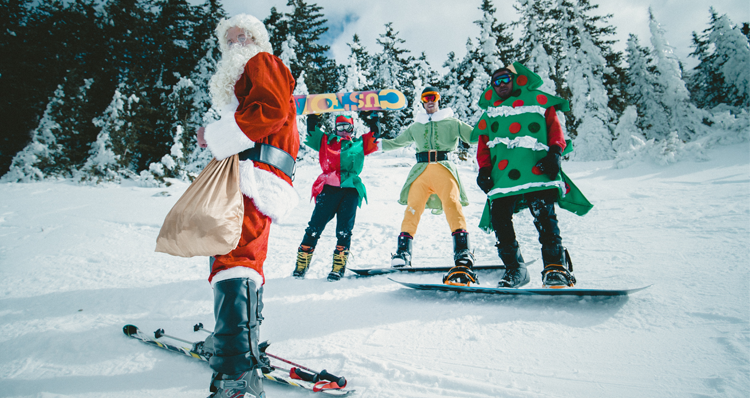 Pick up a tag to help make Christmas wishes come true this holiday season! Check Dairyville’s event calendar before your visit as hours vary throughout the season. December 1 | 2–6 p.m. The community of Hillsboro kicks off the holiday season each year with their Holly Days and Market event. Festivities begin at 1 p.m. with a special winter marketplace featuring local artists, crafts, food and drinks, fresh winter produce, and live entertainment. Head to the Tom Hughes Civic Center Plaza for an afternoon filled with holiday cheer and excitement, complete with a spectacular tree lighting ceremony at 5:30 p.m. 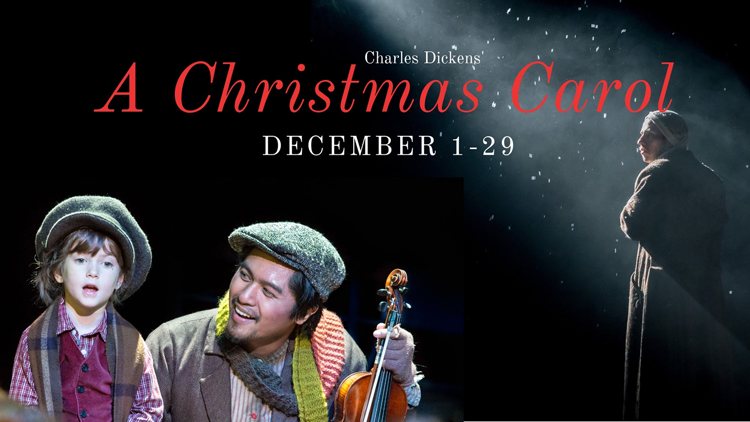 Enjoy a special performance of “A Christmas Carol” at Portland Opera’s Hampton Opera Center throughout the month of December. This production from Portland Playhouse has won three awards, including Best Play, Best Ensemble, and Best Director. Talented actors, musicians and directors come together for an evening celebrating Charles Dickens’ classic Christmas tale. Tickets start at just $19 (for the preview performances on December 1, 2, 5 and 6). December 2 | 3 p.m.
Grammy-nominated songwriter and pianist Jim Brickman takes the Newmark Theatre stage with guest star Anne Cochran for “A Joyful Christmas.” Jim Brickman delivers the sounds and spirit of the season with carols, classics and original songs on his 22nd holiday tour. Tickets range from $30–65. Sunday, December 2 — 5:30 p.m.
Monday, December 3 — 5:30 p.m.
Tuesday, December 4 — 5:30 p.m.
Wednesday, December 5 — 5:30 p.m.
Thursday, December 6 — 5:30 p.m.
Friday, December 7 — 3 p.m.
Saturday, December 8 — 6 p.m.
Sunday, December 9 — 5:30 p.m.
Reminiscent of the classic holiday TV shows of years past featuring entertainers like Bing Crosby or Dean Martin, “It’s a Tony Starlight Christmas!” is sure to spread holiday cheer and make you laugh. Tony has joined forces with Bo Ayars for a Vegas-style Christmas program like nothing you’ve ever seen. The show is both silly and sweet, and appears well-rehearsed yet still spontaneous. Get your tickets to this memorable show for any of the several performances throughout December! December 7 | 7 p.m.–12 a.m.
Get in the holiday spirit at the annual downtown Tigard tree lighting, featuring an appearance from Santa and Mrs. Claus, who will be available for visits and hugs after the ceremony. The festivities begin at 7 p.m. at Liberty Park! December 7 | 5–8:30 p.m. The city of Tualatin comes together at the quaint lake at the Tualatin Commons for a special tree lighting ceremony. Enjoy carolers, refreshments, activities for kids, and lots of holiday cheer. This event is completely free! Gospel Christmas is celebrating its 20th anniversary this year! Be a part of the tradition as the region’s premier gospel singers and the Oregon Symphony join together for an exhilarating and uplifting concert experience embodying the true spirit of the season. Purchase tickets starting at $35 for the performance on Friday, Saturday or Sunday! Experience a lavish performance of “The Nutcracker” with the largest dance studio in Vancouver. As with years past, Friends of DanceWorks will dazzle audiences with aerial dancing, leaping ballerinas, and other impressive acrobatics. Purchase your tickets for the performances on December 7 at 7 p.m., December 8 at 2 p.m. and 7 p.m., or December 9 at 2 p.m. Experience an awe-inspiring performance from the Portland Baroque Orchestra as they play one of the most-performed and well-regarded works in all of musical history. Guest director and harpsichordist Desmond Earley leads the orchestra and Cappella Romana in Portland’s only annual production of this holiday tradition on period instruments. Enjoy a Complete Oratorio, lasting about three hours, on Friday, Saturday or Sunday, or the Messiah Highlights at the Monday performance. Tickets for the concert start at $38. December 8 | 10 a.m.–3 p.m. Step back in time to experience the sights and sounds of the holiday season in the 1840s at Christmas at the Fort. Visitors to this Fort Vancouver holiday event will be able to witness and participate in vintage traditions, enjoy wreath making, sip on holiday beverages, hear caroling, and more! Christmas at the Fort is from 10 a.m. to 3 p.m., and admission is $5 for those 16 and over and free for those under the age of 15. December 8 | 1:30–3 p.m. Downtown comes to life with this exciting annual tradition, featuring nearly 300 tubas playing in unison. The 28th Annual Tuba Christmas Concert will play from 1:30–3 p.m. and is free and open to the public. Interested in playing? Register here to play in the concert! December 8–9 | 11 a.m.–6 p.m.
Don’t miss the Crafty Wonderland Holiday Art + Craft Market, where you can shop from 250+ artists and crafters selling amazing handmade goods at the expansive Oregon Convention Center. Get tickets for the exclusive pre-show ticketed shopping event on Friday or enjoy free admission on Saturday and Sunday from 11 a.m. to 6 p.m. You’ll want to arrive early, as the first 150 people through the doors each day will receive a special goodie bag! Embark on a journey to a familiar place filled with warmth, tradition, and new memories waiting to be made. Oregon Ballet Theatre’s annual performance of George Balanchine’s “The Nutcracker” has been a holiday staple for 15 years. Become immersed in this classic story with magnificent scenery and elaborate costumes. The OBT Orchestra will perform live at 12 of the 19 performances throughout the month of December. Get your tickets for this magical performance at the Keller Auditorium! December 9 | 6:10 p.m. Enjoy inspiring music from the Big Horn Brass Band at this free holiday concert within St. Matthew Lutheran Church in Beaverton. The concert begins at 6:10 with a candle lighting, followed by music from the band, featuring members from the Oregon Symphony, Portland Opera, Columbia Symphony, Pioneer Brass, Columbia Brass, and top freelance musicians. December 14–15 | 7:30–9:30 p.m. The talented cast of Magenta Theater’s Improv Team has a special show in store to entertain and lighten things up during a hectic time of year. This family-friendly show is an improvised performance with a holiday twist. Purchase your tickets for just $10 in advance or $12 at the door! Doors open at 7 p.m., and the show starts at 7:30 p.m., but come early to enjoy beer, wine and treats from the concession area. December 15 | 4–9 p.m.
Don’t miss Uptown Village’s Ugly Holiday Sweater Pub Crawl in Uptown Vancouver. Receive drink specials at participating businesses simply by wearing your favorite ugly holiday sweater! The event is free to attend and requires no registration. Simply show up at one of the participating locations, receive your free map, and choose your route. All locations are within walking distance and you can win prizes along the journey. December 15–16 | 10–4 p.m. The Portland Bazaar is the city’s finest holiday gift showcase and sale. For the eighth year, the Portland Bazaar is putting on a party with lots of food, wintery cocktails, and holiday shopping from over 50 Portland makers, artists and small businesses. The bazaar is free to attend and open to all! Enjoy a family-friendly abridged version of Marius Petipa’s Nutcracker Ballet, featuring music by Pyotr Ilyich Tchaikovsky. This classic story is presented by Northwest Dance Theatre with elaborate sets, stunning costumes, and sparkling choreography. Even if you’ve seen this performance in years past, Northwest Dance Theatre never fails to incorporate exciting new twists and turns to enhance each season’s performance. Complimentary tea will be served to complete the experience! Tickets range from $19–35. December 17 | 7:30 p.m. Enjoy light holiday classics, seasonal favorites, and a very merry sing-along at this jubilant evening at the Arlene Schnitzer Concert Hall. Led by Conductor Norman Huynh, The Oregon Chorale will enchant the audience with classical holiday music. Tickets for “Comfort and Joy: A Classical Christmas” start at $25. Columbia Dance brings a wonder-filled production of “The Nutcracker” to the Royal Durst Theatre at the Vancouver School of Art and Academics. A cast of over 90 local dancers present the enchanting story of Clara and her Nutcracker Prince as they battle the Mouse King and embark on a thrilling journey accompanied by Tchaikovsky’s powerful score. Tickets cost $20 for adults, $15 for seniors and students, and $10 for children ages 12 and under for any of the many performances throughout the weekend. 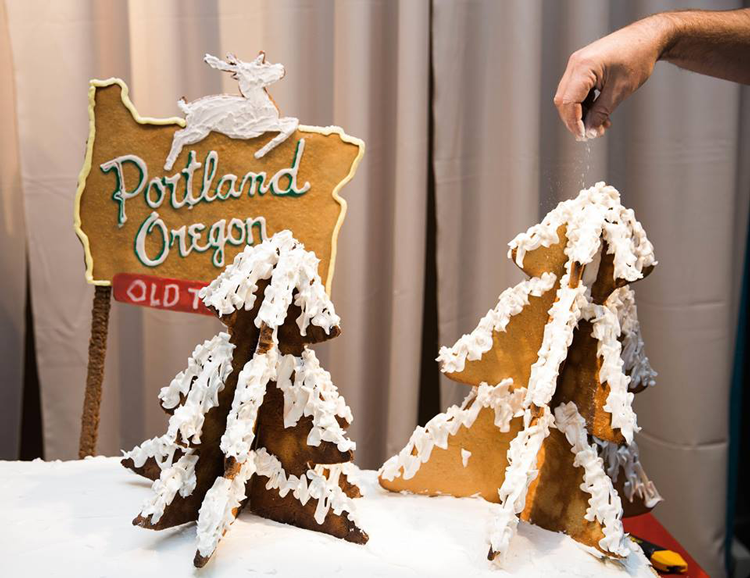 Put a holiday spin on your visit to the Oregon Museum of Science and Industry (OMSI) with their special “Gingerbread Adventures” exhibit. Take a sweet (and smart!) look at the science behind a favorite holiday pastime — making gingerbread houses. See the brilliant masterpieces from expert bakers and architects, who worked together to build towering gingerbread sculptures. The exhibit is included with general admission to the museum. Explore the breathtaking holiday decor at the historic Pittock Mansion through New Year’s Eve, a local tradition for over 50 years. This year, explore some familiar and not-so-familiar hobbies and pastimes, such as opera, knitting and beekeeping. 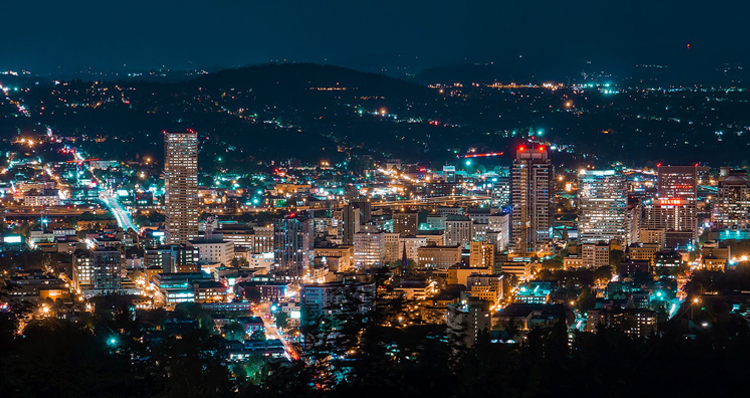 The festivities extend through New Year’s Eve, but Pittock Mansion will be closed on Thanksgiving and Christmas Day. This annual tradition should not be missed! Admission is free for members, $11 for adults, $10 for seniors, $8 for ages 6–18, and free for children under 6. An annual tradition for many in Portland, the Oregon Zoo’s annual ZooLights is an enchanting event featuring more than 1.5 million dazzling lights. You will see the zoo in a whole new light, as you visit with animals, ride the popular lighted train, hear live music, sip on warm drinks, and enjoy dinner from a number of food trucks. Plus, Santa will be on site for photos through December 23! Take a look at the calendar to see pricing for ZooLights (keeping an eye on the special Value Nights). Considered the largest drive-through holiday light show west of the Mississippi, the 26th Annual Winter Wonderland will grab your attention with glimmers and glows around every corner. Spectators enjoy a spectacular drive-through light show with over 250 colorful light set pieces and fully animated scenes. Admission costs $20 per car from November 24–December 13 or $22 per car from December 14–26. Discounted $18 tickets (for any night) are available at a local Safeway or Albertsons customer service desk! All proceeds from the event benefit the Sunshine Division hunger relief efforts. Take a look at the event website for additional pricing details and the various special events happening at Winter Wonderland throughout the season. Considered the largest Christmas choral festival in the world, the Grotto’s Christmas Festival of Lights features nearly 170 indoor holiday concerts performed by many of the region’s finest school, church and civic choirs. There are five indoor concerts scheduled each evening in The Grotto’s 600-seat chapel known for its cathedral-quality acoustics. Enjoy family entertainment in the plaza area, including caroling, puppet shows, a live petting zoo, holiday food and beverages, and seasonal shopping in the gift shop. Tickets may be purchased at the gate from 5–9:30 p.m.; admission is $12 for adults, $11 for seniors/military, $6 for children, and free for children 2 and under. 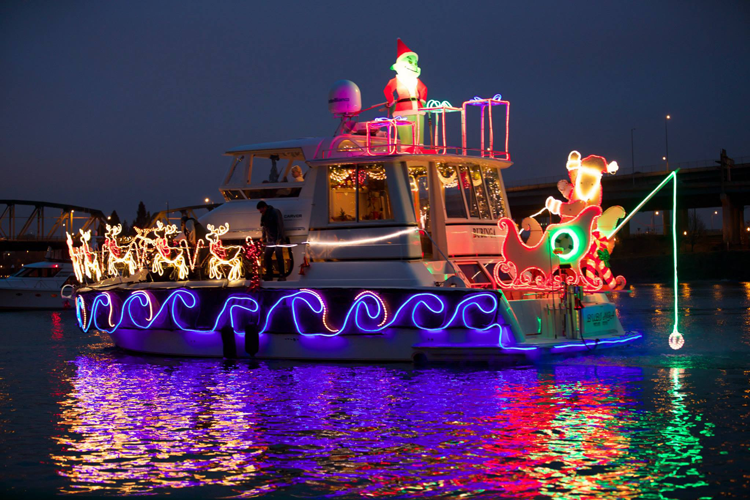 For 15 nights in December, take in the wonder of the Christmas Ship Parade along the Columbia and Willamette Rivers. 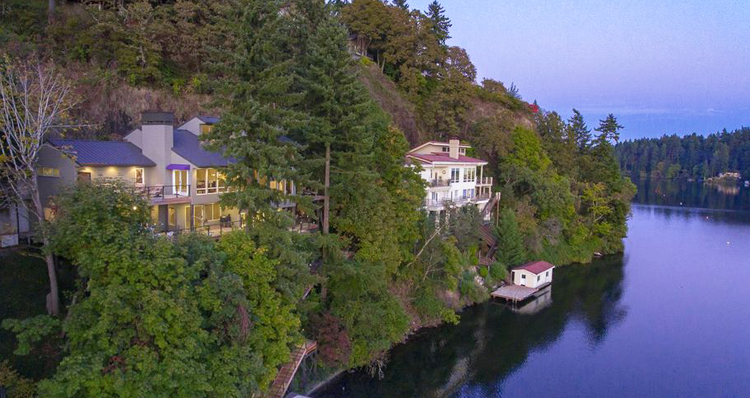 Take a look at the Columbia River Schedule and the Willamette River Schedule for the dates and times of parades as well as the best viewing locations — from shoreline parks to cozy riverfront restaurants. Watch decorated boats pass by with vibrant colors reflecting off the water’s surface and experience the joys of this annual Portland tradition! If you’ve lived in the city for a while, you may remember Santaland at the Meier & Frank department store in downtown Portland with its iconic monorail and a chance to sit on Santa’s lap. Following the closure of Macy’s downtown store, which purchased Meier & Frank in 2005, items from Santaland were donated to the Oregon Historical Society and the Portland Business Alliance. See these nostalgic pieces on display at the OHS — including Santa’s chair, Rudolph, animatronic elves, and a decorated Christmas tree! And new this year, you can even see a model of the famous monorail on display. Plus, visit with Santa on December 2, 15 and 22! During the month of December, Victorian Belle transforms into a Christmas wonderland for “The Miracle of a Million Lights.” Explore this historic landmark with over a million twinkling lights, 20+ uniquely decorated Christmas trees, and elaborate decor all around. View rooms filled with period antiques and vintage heirlooms displaying majestic themes. In addition to the tour, enjoy homemade apple cider and holiday cookies, while you listen to live musical performances. Roast marshmallows for s’mores by the fire with Rudolph, make a craft with Mrs. Claus, and admire the impressive model railroads. Admission is $8 for adults, $5 for students, $4 for seniors, and free for children under 3. Nicknamed “Portland’s Christmas Street,” Peacock Lane is considered one of the city’s most popular destinations and traditions during the holiday season. Each home in this quaint southeast neighborhood has been decorating for Christmas for decades. Mostly comprised of Tudors, this historic neighborhood features beautiful sparkling lights, nativity scenes, rotating Christmas trees, and life-like replicas of your favorite holiday characters. Because the streets can become crowded, it is wise to park several blocks away and walk to the street. Peacock Lane will be decorated and ready for visitors from 6–11 p.m. December 15–31. The street will be pedestrian-only and closed to cars on December 15, 16 and 17. This event is the Peacock Lane homeowners’ gift to Portland so there is no charge to view the lights! What holiday events do you look forward to each year? Let us know in the comments below!